Despite being one of the most popular places to get travel money, we think buying foreign currency in a Post Office branch is best avoided if you want to get a good deal. Which? Money researchers found that it’s typical for Post Office branches to advertise better rates than we think most people are likely to get. We visited eight branches on a single day in June and found that, in seven, the exchange rates advertised in-store were for people looking to exchange £1,000 or more. Rates for smaller amounts were only provided if you asked staff in-store – and were far worse. The Post Office is the most popular currency provider among Which? members – one in five (17%) used it when buying travel money in the past 12 months. But the majority (seven in 10) bought less than £1,000 of currency for their most recent overseas holiday, with around £375 the most commonly exchanged amount, meaning many may end up getting a poor deal if they walked into their local Post Office branch to buy their travel money. The Post Office offers its second-best in-store rate for people exchanging £500 or more, and the lowest rate for currency purchases of less than £500. In most branches we checked on 8 June, £375 bought €413 at the best rate, which was advertised on the Post Office’s in-store rates board. But this rate only applied to exchanges of at least £1,000. The Post Office told us its own research suggests people typically spend £850 on overseas holidays. Limited space on boards means it can’t show all the rates and boards make clear that rates vary under £1,000. It also offers more competitive rates online. In general, we’ve found that the Post Office’s rates are often beaten by other providers, both when comparing its in-store rates and online rates with those offered by other providers. Best Foreign Exchange, Thomas Exchange Global and Thomas Exchange UK offered some of the best online rates when we checked, but they only have branches in London. All three also charge for delivery (£4.90 with Best Foreign Exchange and Thomas Exchange Global and £10.00 with Thomas Exchange UK for deliveries outside central London). On the high street and online, we have found that John Lewis consistently offers good rates, and you can also pre-order online to collect at a local Waitrose. An even better option than buying lots of foreign currency is to use a credit or prepaid card that offers fee-free overseas spending. Don’t use your ordinary debit or credit card for your holiday spending, without at least checking the fees first. This chart explains why. Halifax Clarity is a popular option for credit cards but there are plenty of other cards to choose from. 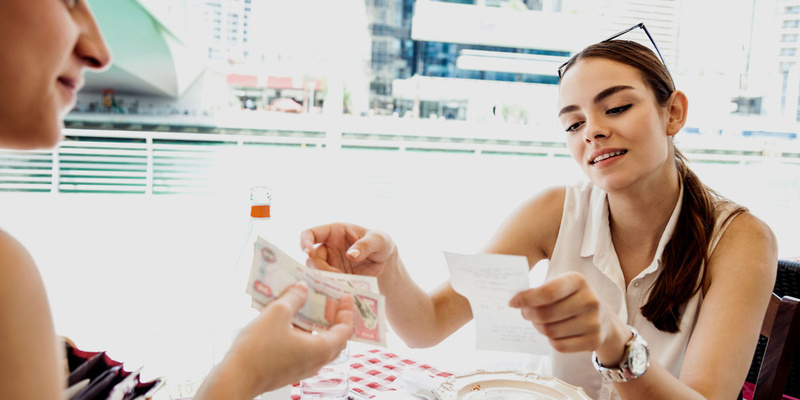 If you don’t want to spend on a credit card, you could choose a prepaid card. Cards from new providers Monzo and Revolut currently offer the best deals. Both offer competitive exchange rates and 0% fees for overseas spending. Monzo doesn’t charge any fees for overseas ATM withdrawals. With Revolut you can withdraw up to £200 per month for free, after this it charges 2% per withdrawal. Both are managed via smartphone apps (there is currently a waiting list for Monzo, although you can expect to have a card within a couple of weeks of your application).